April to November and through mild winters. 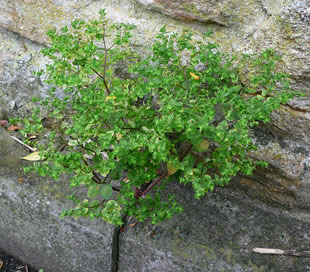 in cracks in pavements and the base of walls. 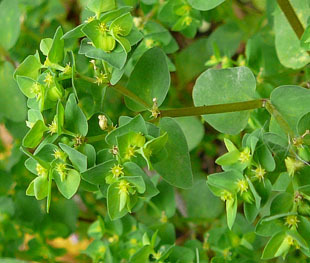 Petty Spurge is a common, annual herb, growing up to 30cm. 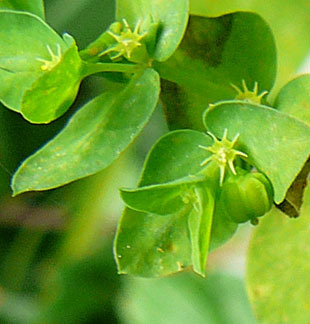 The flowers are small (approximately 3mm) and green. There are no petals or sepals. The flowers are cupped in bracts. There are 4 kidney-shaped, long-horned glands. Stamens are small and yellow - inside the horned glands. The ovary is stalked, bulbous and pendular. 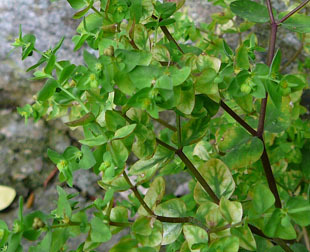 Leaves are small (up to 3cm), untoothed and oval. The stem is much branched. 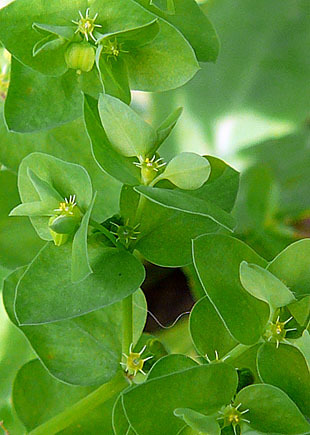 its use in treating skin cancer.